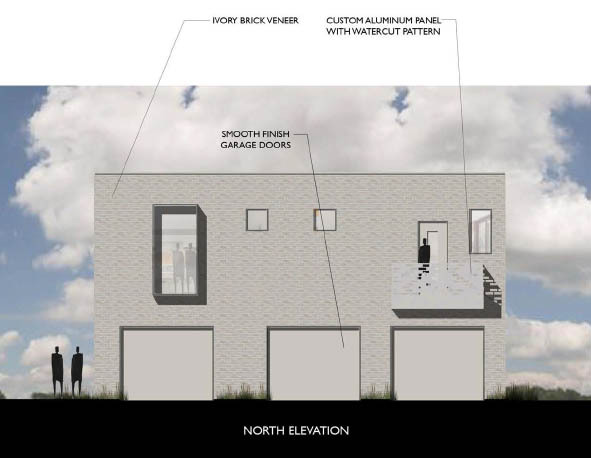 The South of Saint Anthony (SoSA) District continues its torrid pace, with a new application for a 3-unit, 2-story condo structure on the northwest corner of NW 6th & Dewey. 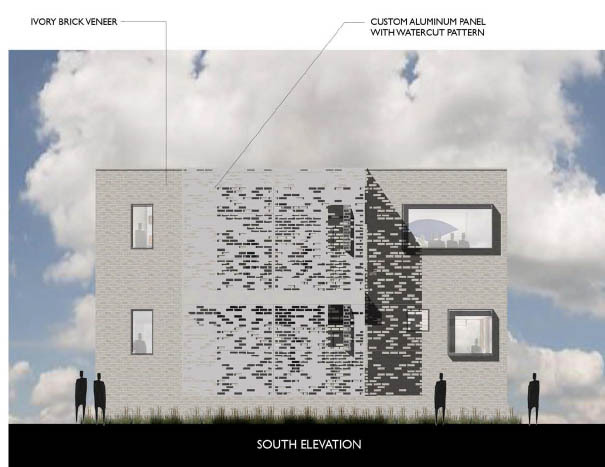 The site is presently a vacant lot and two blocks east of the proposed Dwellings at SoSA project, which would be 14 free-standing townhouses also on NW 6th. It is directly west of the recently remodeled and expanded Emerson School. Just in the last week, plans were revealed for two other large projects in the immediate area: a completely reworked Red Andrews Park and a remodeled and expanded facility for Valir Health. 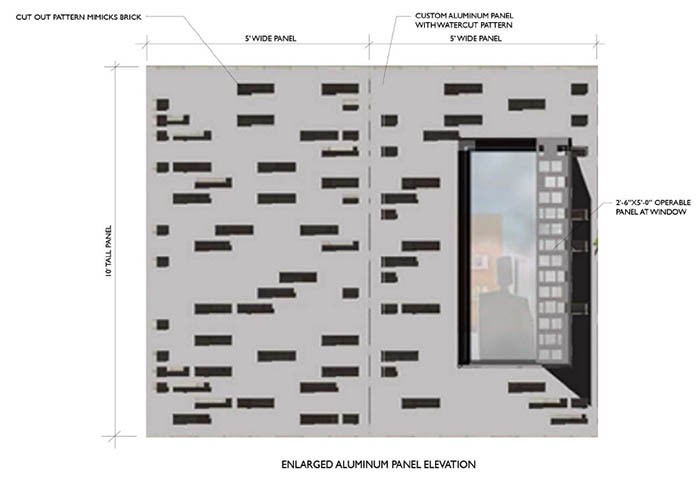 The owner and developer Clint Spencer has dubbed this project the Watercut Building, the name a reference to the water-cut aluminum panels that will accent the brick exterior. 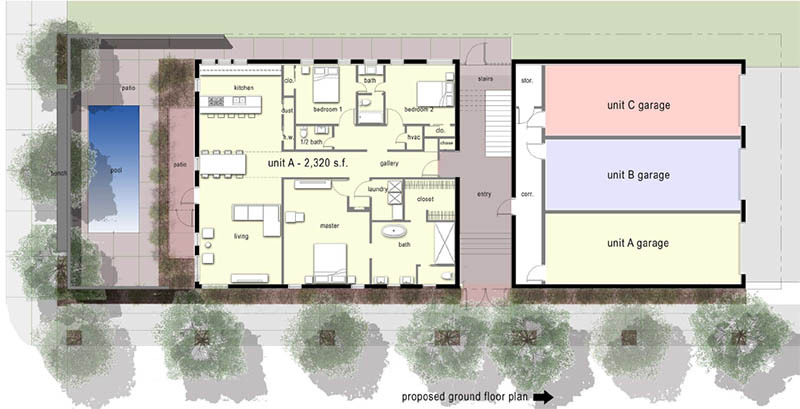 Plans call for one ground-level unit and two 2nd-level units, each with their own private garage facing the alleyway to the north. A common pool area is to be included along 6th Street. Due to the slope of the property, the pool will actually be above the sidewalk level. The entire property offers commanding views of the skyline to the southeast. Prices have yet to be set but the going rate for new construction the area is between $250 and $275 a square foot. 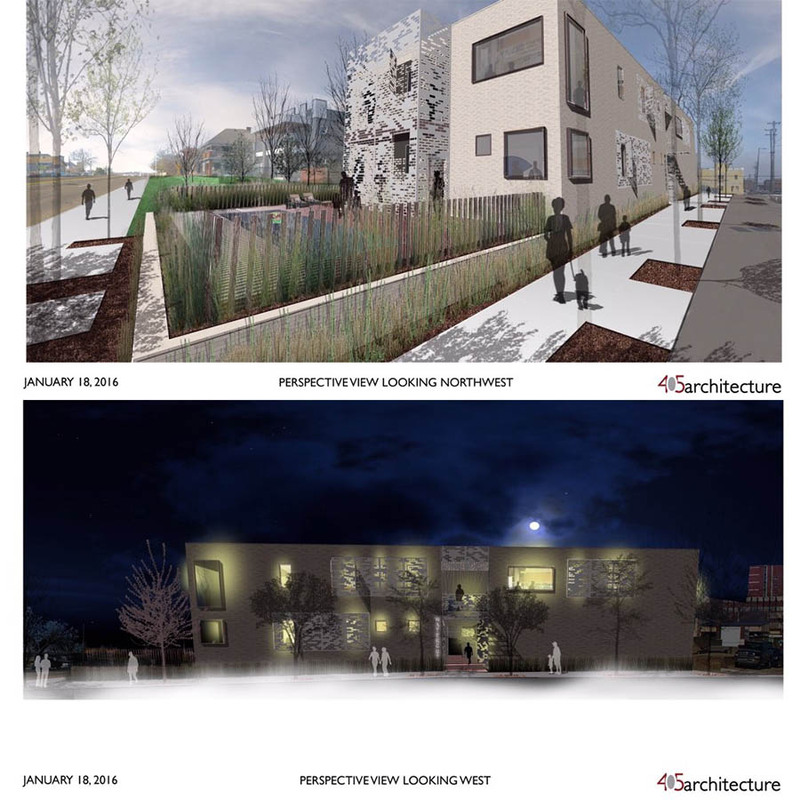 The design is by 405architecture and will be considered by the Urban Design Commission in its next meeting. Once approvals are received, Spencer hopes to quickly commence construction. Very unusual siding, i like it. Something distinct and should be interesting to view when completed. This project continues to move forward. I had totally forgotten about this project until I drove by and saw the sign for it. What's the status? They want to pre-sell units before breaking ground. They are listed on the MLS.